One of the strongest films to play at Sundance this year, The Wolfpack director Crystal Moselle has made her first narrative piece with Skate Kitchen. After months of waiting, the general public can finally have a taste with its first trailer. 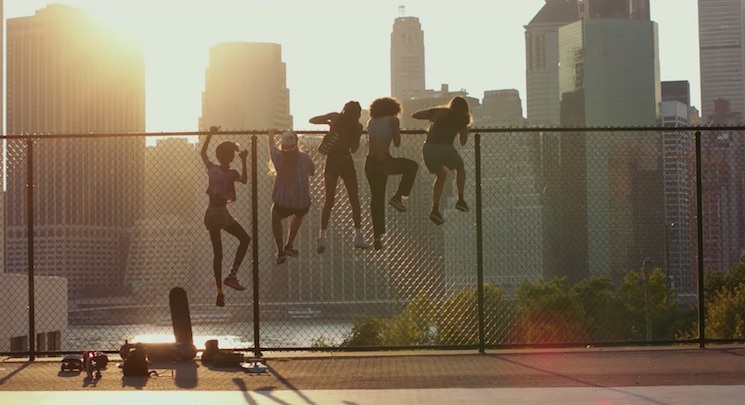 At once familiar and fresh, the film follows a group of mostly female skate brats as they forge friendships and come of age in New York. It's not unlike Kids, albeit with a decidedly more uplifting (and important) message. In addition to Jaden Smith, Skate Kitchen stars Rachelle Vinberg, Dede Lovelace, Nina Moran, Kabrina Adams, Ajani Russell, Jules Lorenzo, Brenn Lorenzo, Hisham Tawfiq and Elizabeth Rodriguez. Watch the trailer for Skate Kitchen below before the film hits select theatres on August 10.